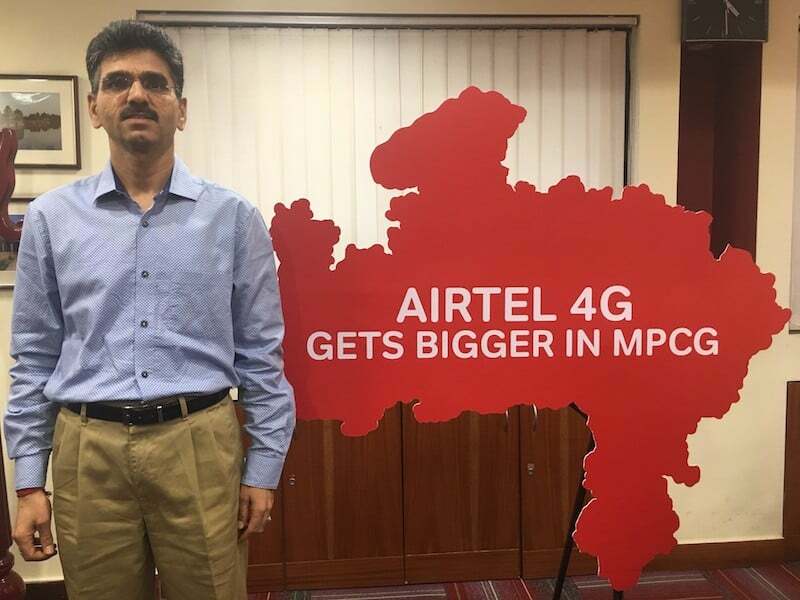 Bharti Airtel is going to expand its network infrastructure in Madhya Pradesh & Chhattisgarh (MPCG) telecom circle under its network expansion program, Project Leap. The telco has now announced a massive network rollout plan in the circle this financial year. Airtel is looking to expand the network to enhance its data capabilities and expand its footprint in the region. As part of the expansion, Airtel will be adding over 9500 new mobile broadband sites and 4000 kms of optic fiber in FY 2018-19. “While stepping up the data capacities and taking services deeper into rural and unconnected areas, the new rollout plan would ensure a deployment of one new site every hour on Airtel’s future-ready network in the region,” Airtel said in a media statement. Once the rollout completes, the number of mobile sites of Airtel in Madhya Pradesh & Chhattisgarh circle would go up by 30% to 26,000, which further enhances its network capabilities and offers better data speeds, voice quality to the users. Also, the addition of fresh optic fiber would extend Airtel’s fiber backbone to 22,000 kms, supporting the growth of high-speed data services in the region. This expansion of network infrastructure follows the successful expansion of network sites in FY 2017-18 where the telco managed to add over 5200 new sites being deployed across Madhya Pradesh & Chhattisgarh, extending Airtel’s mobile broadband footprint to 34000 towns and villages in the region. Speaking the history of Bharti Airtel’s network deployment in Madhya Pradesh & Chhattisgarh, it launched the 3G services in September 2015, followed by the rollout of high-speed 4G services in October 2016. Airtel also launched the VoLTE services in October 2017 and currently has a fiber backbone of 18500 kms. Airtel’s network is now spread across 34,000 towns and villages across the circle. For those who’re interested, Airtel is offering 4G services on FD LTE 1800 MHz and TD LTE 2300 MHz spectrum. Earlier today, we reported about Vodafone’s 4G services launch in the same MPCG circle. Airtel deployed Band 40 in Gwalior MP recently. Speeds were around 70 Mbps. But carrier aggregation not activated by Airtel between Band 40 and Band 3. Someone please suggest me a good TV under 15000. Confused between MI TV 4A 32″ and VU 32″ TV. Anyone tell me which one is better in terms of Picture Quality(nothing else).